Home / Art Things / How To Study Films? 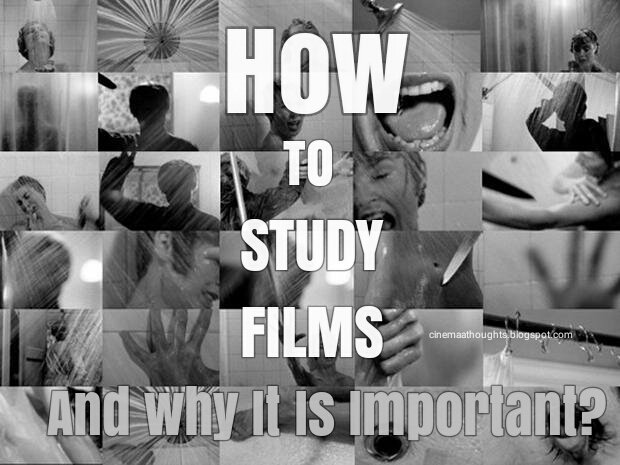 There is a huge difference between Watching and Studying Films,and Here the Second Term. While Watching Any Film,the First Thing should pop Up into your mind is Genre of the film.You can't watch Titanic with a Fully Loaded Action Mind.Try to catch the genre as early as possible.Try to Watch Closely what the Protagonist wants,It helps to observe genre.And Also the other Characters Thoughts,Surrounding depths,Colors and Light. Even After genre Caught,You can't go with the flow of feelings of a film, because of the Tone.Same Genre Films with different feeling Also occurs.Like Psycho and The Shinning are same genre with related type of Villain Characters.But still there is a lot of different thoughts and feelings occur through out the film.It is called the tone.The tone was developed by means of Story,Director's Style or Film Concept.You Have to understand the concept of tone by understanding the Silence Of Characters and Vocals in situations. "...We all want to be fooled.Neither we excited about how the trick works Nor asked how the magician made it..."Same as in films.We all just watching the film as an audience.But not an Observer.We can't go through the depth of a film without knowing what the Artist(Director) actually trying to show us. It is easy to do,He/She always indirectly tells about it (the meaning/message).Take the film "2001:A Space Odyssey"(1968),The Opening Shot shows that the sun raised above our earth simply tells that humans will dominated by their environmental factors.It actually shows the whole film concept. In Fight Club(1999) He/Director always show a micro seconds of Tyler durden pic in the frame even before he appear as Actual character.To catch that You Have to watch it frame by frame from the beginning and the ending of the film.So you have to Watch A Film minimum of 3 times, if you really care.That's why the old golden term raise, "A Good Book Don't Give Up It's Secrets All At Once" ,same applied to Films and any other Art works.